The key to a year-round comfortable home is a successful air conditioning and heating system installation. Before a AC unit installation. Regular maintenance is necessary to keep the air conditioning and heating systems running smoothly. Air conditioning and heating system maintenance requires checking for faulty AC parts and fixing them accordingly. Cleaning air filters, changing disposable filters, oiling/lubricating fan axles and motors, correcting bent fan blades and fins and so on, are part of the maintenance. Air conditioning maintenance can be divided into Planned Preventive Maintenance and one-time air conditioning and heating maintenance. The planned preventive air conditioning maintenance is carried out on a routine basis whereas one-time air conditioning maintenance is available by customers who need air conditioning maintenance in an emergency basis without any prior or specific planning. We offer Planned Preventive Maintenance Agreements that will give you peace of mind knowing your air conditioning and heating system are running optimally. The routine maintenance will help your AC and heating system run efficiently and effectively, providing savings on your energy utility bills. Our technicians are knowledgeable in servicing all major brands of heating and air conditioning systems. If you encounter problems with your air conditioning or heating system, we can fix it. We sell and install top quality Rheem air conditioning equipment and carry a wide range of parts, equipment and supplies. Our technicians are specialist in the field of air conditioning and heating services. Contractors often consult our expertise when building a new luxury custom home. 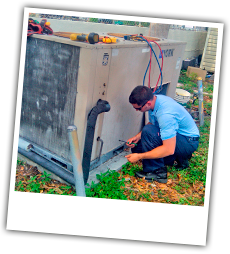 Felco Air Conditioning provides expert air conditioning and heating services to the Miami-Dade area. We provide all residential air conditioning and heating related services like installation, repair, maintenance, and troubleshooting. Our company is known for its reliable quality service at reasonable prices. All services provided by us are considered the best because of our relentless strive for perfection in AC services and the expertise of our extraordinary AC technicians. 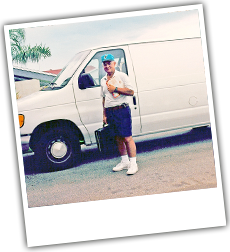 If you live in Miami-Dade County and would like more information on our services and Planned Preventive Maintenance for air conditioning and heating systems, give us a call!